PRAGUE, October 5, 2015 – Newly established Czech real estate fund, NOVA Real Estate, managed by investment company REDSIDE, has successfully completed the acquisition of a real estate portfolio from Bluehouse Capital. 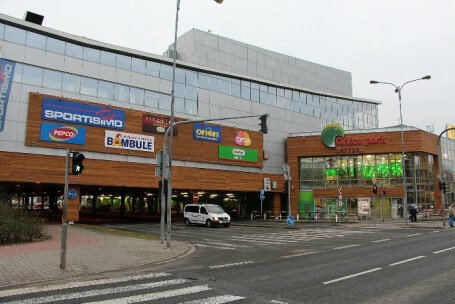 The subject of the sale were three commercial properties in Jablonec nad Nisou, Hradec Kralove and Znojmo. A key long-term tenant in all the three properties is the Ahold group, which recently took over InterSpar. REDSIDE investiční společnost, a.s. was founded in 2012 as a joint venture of ASB Group and Arca Capital. Besides the real estate fund, its portfolio includes also qualified investor funds focused on private equity and renewable energy sources. Consulting and advisory services for the transaction were provided by real estate consultant Colliers International, legal firm Kinstellar, and tax and accounting experts from ASB Accounting. Founded in 2004, Bluehouse is a private equity real estate investment management firm focused in Emerging Europe with operations in Poland, Czech Republic, Hungary, Bulgaria, Romania, Croatia, Serbia and Greece. Bluehouse Capital was represented by JLL and the law firm CMS Cameron McKenna. The purchase price of the portfolio has not been disclosed, however, it ranks amongst one of the largest real estate transactions in the Czech republic in 2015.